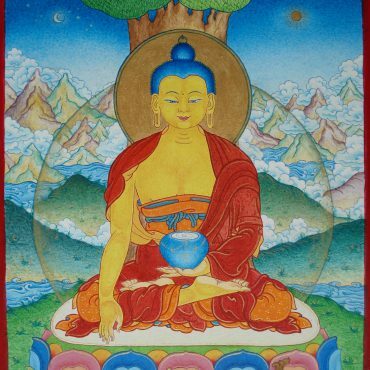 On Tuesday, May 29th, the auspicious day of Saga Dawa Duchen honoring the Buddha’s enlightenment and mahaparinirvana, Ven. Khenpo Tsewang Dongyal Rinpoche will lead a group meditation practice and vegetarian tsok ceremony at Padma Samye Ling that includes the special opportunity to renew your Refuge and Bodhisattva Vows. For Buddhists, this is one of the most sacred days of the year when karmic effects are naturally multiplied millions of times, so meditation practice and virtuous deeds are strongly encouraged and celebrated! Join Ven. Khenpo Rinpoche for this extraordinary opportunity to restrengthen your connection to the lineage and the Buddhadharma, and reaffirm your joyful commitment to benefit all beings until they all reach enlightenment.